Just a quick slide from a recent project that I thought was pretty cool. Throughout this presentation, we used a layered visual styling of photo images as the base and animated vector illustrations that interacted with the photo. Rather than list the 4-5 talking points about CO2 emissions from vehicles, we visually represented vehicles with a huge tail pipe. 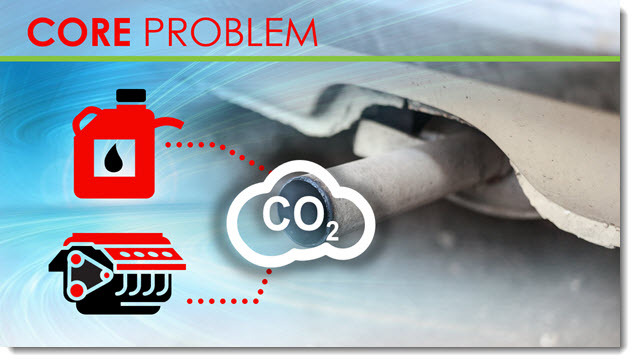 Then, to visually support the talking points, the CO2 icon was introduced, followed by the gasoline icon, which supported the talking point about gasoline powered engines with another vector overlay (the story there was how much better gasoline has become over the decades, in terms of CO2 emissions, but that it still creates them). Overall, the slide design using images and illustrations allowed for a presentation that was visually creative with a unique style and a happy presenter.